Carpenter Construction’s roots go back more than a century, to a company started by B. R. Fulmer. In the 1920’s, Mr. Fulmer established B. R. Fulmer, whose principals were B. R. Fulmer, C. E. Wohler, and L. P. Wineman. The company operated under that name until the death of Mr. Fulmer in 1943. At that time, L. P. Wineman became full owner and operated the business under his own name until 1957. 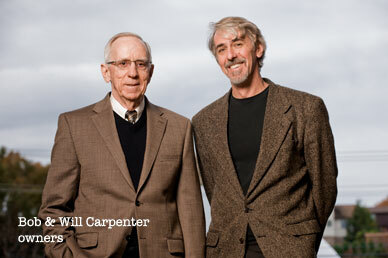 In 1949, R. M. Carpenter (Bob) became an employee of the business, and in 1957 was made a partner. The company’s name was changed to Wineman & Carpenter, Inc. In 1991, Bob’s son, Will, returned to the Pittsburgh area and together they established Carpenter Construction, Inc.
Carpenter Construction has endured through the years because it has continually evolved to meet its customers' changing needs while always maintaining a dedication to quality.